"Live your dream." 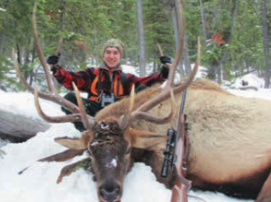 Here is a rare opportunity to own one of Montana's premier outfitting businesses. Stockton Outfitters has a forty+ year history of servicing sportsman in Montana's pristine "Big Hole Valley." Stockton Outfitters has been featured nationally on the Outdoor Channel, Versus Network and the Sportsman's Channel. It is highly successful and profitable with a high percentage return clientele. Operating in over 187 square miles (120,000 acres) this business could be expanded to beyond one's imagination. "Hunting is not a hobby, it's a lifestyle!" For pricing and more information, give us a call.